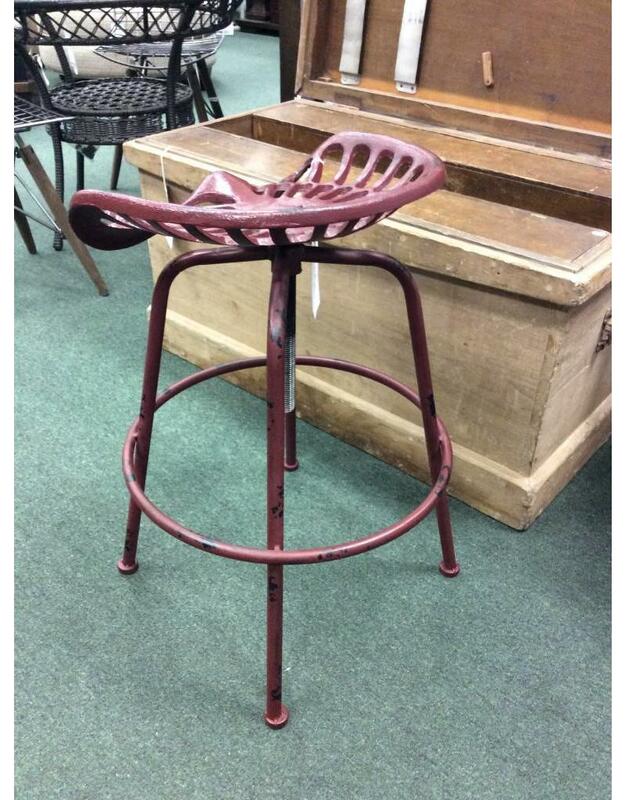 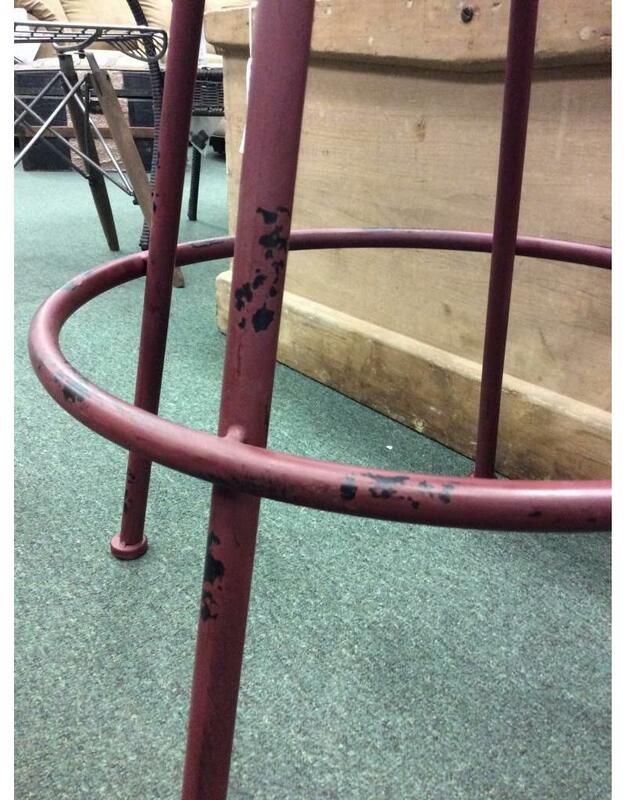 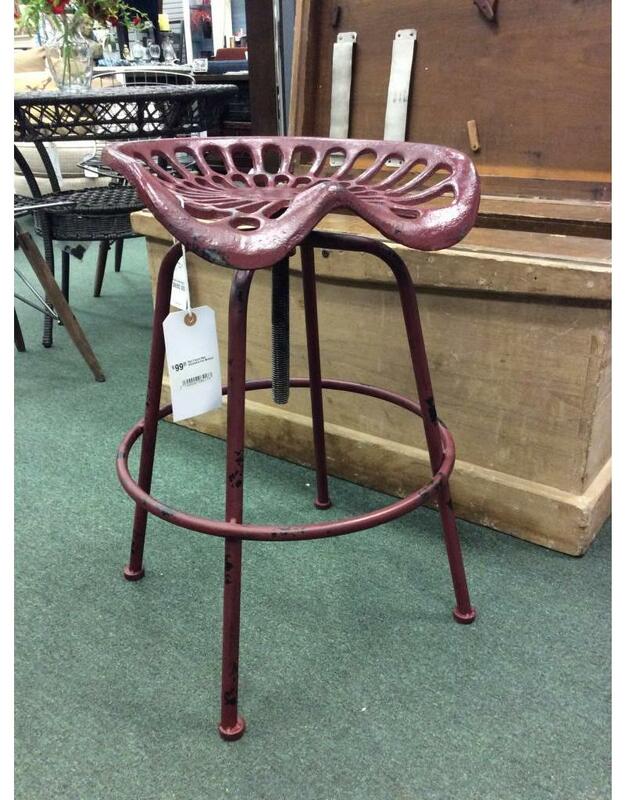 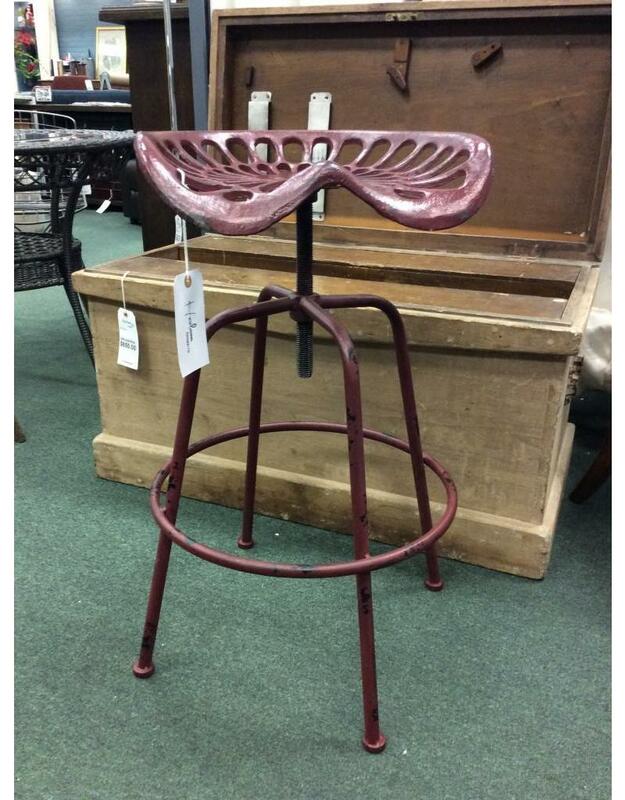 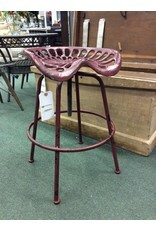 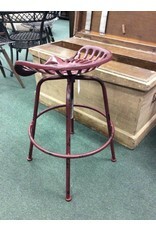 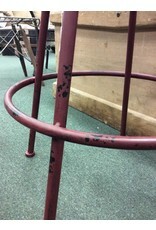 This iron bar stool is a true industrial rehab piece. 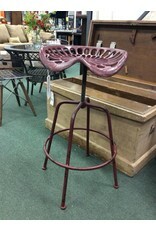 Take an old metal tractor seat, add a bar stool frame and presto a unique statement piece for your home bar. 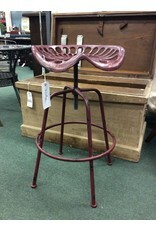 Able to be raised or lowered to be perfect height for your comfort. 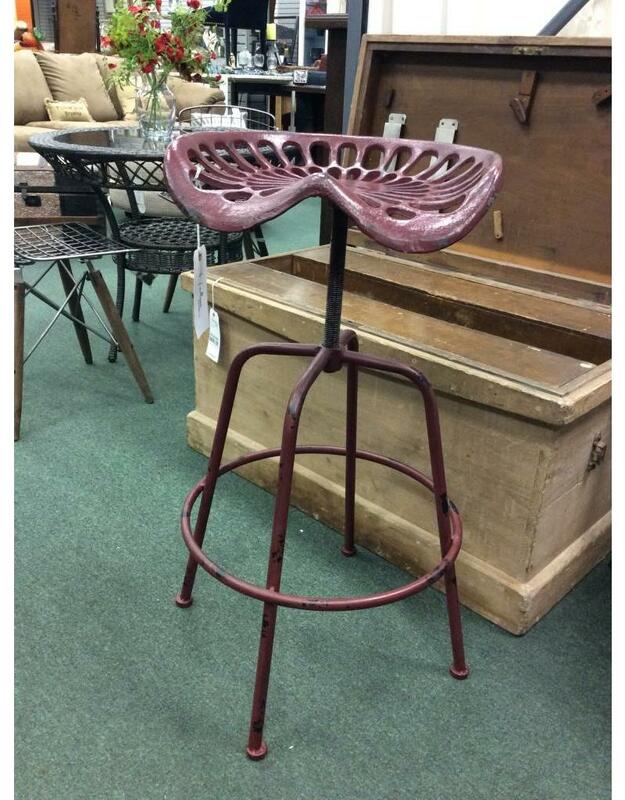 Chippy painted in a maroon hue. 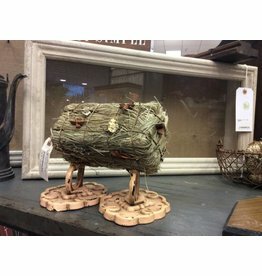 A great rustic accent!